By instructing Our Handyman you accept that you have read and understood the following Terms & Conditions and consent to be bound by their content. 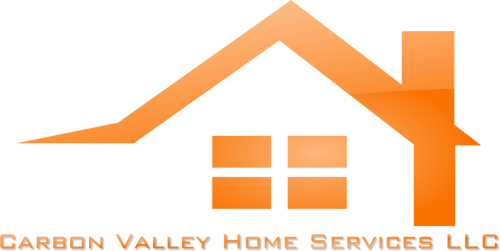 For the purpose of these terms ‘us’ ‘we’ ‘our’ or ‘CVHS LLC’ shall mean Carbon Valley Home Services LLC, ‘you’ ‘your’ ‘Client’ shall mean the person instructing us to provide our services. ‘Handyman’, ‘Technician’ or ‘Engineer’ shall mean the individual/s carrying out the service on site. CVHS LLC hereby consents to supply goods and to provide services to the Client and the Client consents to pay the price in accordance with these terms and conditions. CVHS LLC may employ subcontractors to carry out any part of their obligations under this agreement at their sole discretion and may assign its rights and obligations under this agreement to any other party. The Client may not assign their rights and obligations under this agreement without written consent of CVHS LLC. The Client warrants that he/she is either the owner of the premises at which the services will take place and is entitled to commission the services without the consent of any third party, or otherwise has the necessary authorization in place for the services to be carried out. By commissioning CVHS LLC the Client confirms they have obtained any necessary permissions and/or licenses/permits required for the services to be carried out. Providing you cancel or postpone your appointment before 4pm, on or before the previous working day to the scheduled appointment, then no labor charges will apply. If you cancel or postpone after this time, or are not able to grant access to our Handyman (if they attend within the agreed time frames) then an administration charge equivalent to 60 minutes labor at the current rate will be applied. Accepting a quotation/estimate, either verbally or in writing, and agreeing to the commencement of work will allow these terms and conditions to come into effect. CVHS LLC may need to postpone a booked appointment due to reasons beyond our control. In these instances we will notify the Client and re-schedule the appointment as soon as conveniently possible for both parties. CVHS LLC shall not be held liable for any costs claimed by the Client in respect of the non-attendance or late attendance on site of the Handyman, or for the late or non-delivery of materials, or materials/goods which are faulty or incorrectly supplied. CVHS LLC charges labor in quarter hour increments at the prevailing rates, quoted at the time of booking, with a minimum charge of one and one half hours labor. All estimates are based on a time and materials basis and will vary due to unforeseen circumstances. Any applicable charges for materials, materials procurement/delivery, parking, congestion, waste disposal are charged additionally. In the event of a bill-paying Client being absent when there is further chargeable work required, we will attempt to contact the Client and obtain permission prior to conducting any further work. If a Client is non-contactable our Handyman will only continue with work if we have prior authorization from the Client, or if it is not safe or feasible to halt work at that point. Handymen carry some stock, but we cannot guarantee they will be carrying specific part/s required unless a Client provides comprehensive details and pays a deposit in advance for an hour’s labor and the cost of the parts in full. In this instance part details and initial fault diagnosis are the Client’s liability. Should CVHS LLC be unable to fit Client supplied or Client recommended parts, or the Client refuses to have CVHS LLC supplied parts (previously accepted as required) fitted, the return of parts carries a re-stocking charge of up to 30%, providing the parts can be returned without penalty to CVHS LLC, otherwise up to 100% of the charges may be retained. CVHS LLC charges labor time (capped at 1 hour per day) to collect parts. If our Handyman needs to leave site to collect parts the Client will be charged for the labor up until that point (1 hour) and the full price of parts. If the closest available supplier would likely take more than a 60 minute round trip to collect parts, but the Client still wishes us to collect parts right away, then additional travel time may apply. Payment for goods & services provided by CVHS LLC are due immediately upon completion of each visit. CVHS LLC may ask the Client for a card deposit in advance of attending an appointment, by paying the deposit the Client authorizes CVHS LLC to debit the same card for the balance due as per our ‘Labor rates and charges’. CVHS LLC may ask an absent Client to email instruction for further remedial work to be carried out and providing that scope of work is completed within the estimated charges then the Client authorizes CVHS LLC to debit the existing card details stored to pay for the balance of the work immediately upon completion. Failure to return this written confirmation promptly may result in delays and further labor charges. We accept cash, check ($2000 or under), credit or debit card payments via Visa, Mastercard, Discover and American Express. Certificates and documentation cannot be issued to the Client until payment has been received by CVHS LLC in full for the services provided. CVHS LLC reserves the right to increase the price of work if; the costs to CVHS LLC of supplying the goods and services increase due to any factor beyond the control of CVHS LLC, the Client changes the specification, the Client consents to any change in specification proposed by CVHS LLC goods or services are required by the Client with exceptional urgency, the Client causes a delay or the Client fails to provide CVHS LLC with adequate accurate information or facilities. – Charge the Client statutory interest rates on the amount unpaid. – Charge the Client for all reasonable costs and expenses (including legal costs and costs of any third party debt recovery service) incurred by CVHS LLC in the collection of any overdue amounts. – There is a minimum administration charge of $50 whenever a Client fails to submit payment within 5 days due upon completion of a visit. – Refuse to deliver or install any balance of goods or services, or guarantee any provided goods or services until payment is made in full. – Recover materials purchased for, or on behalf of the Client. The Client accepts these materials remain the property of CVHS LLC until payment of any outstanding amounts has been received. In the event of dispute, the Client consents to allow access to the property to a company representative to retrieve all materials that remain the property of CVHS LLC. CVHS LLC is happy to provide invoices for businesses or an individual, however, payment is due within the time-frame stated in these terms and conditions. CVHS LLC does not accept liability for any injury to persons, domestic animals, livestock or birds, or any loss or damage to property or goods, unless due to our negligence. 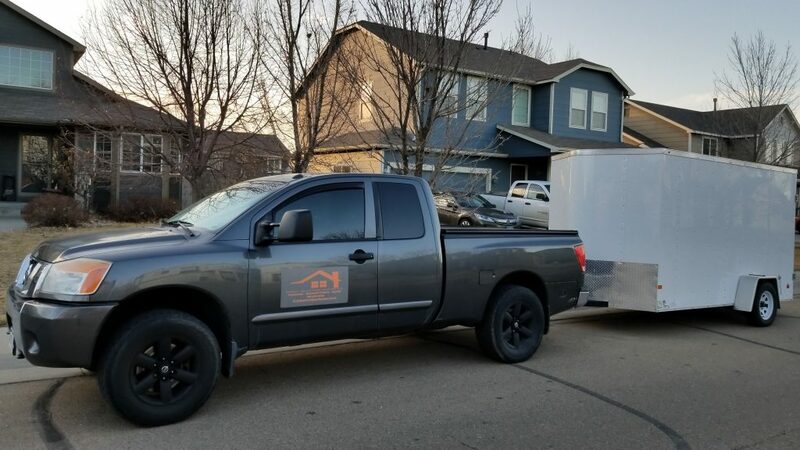 The Client must notify CVHS LLC of this damage, injury or loss in writing (email to info@carbonvalleyhome.com acceptable) within 7 days of the incident. CVHS LLC shall not be held liable for any indirect or consequential loss, damage, cost or expense of any kind however caused, including without limitation any loss of income or profits. Where a specific risk has been identified by CVHS LLC and the Client advised, CVHS LLC shall not be liable for such risk or event and the Client consents to bear such risk. CVHS LLC will not be liable for any delay to the provision of goods and services due to force majeure or any other event beyond its reasonable control. CVHS LLC may terminate an agreement with a Client if the Client; becomes bankrupt, commits a material breach of their agreement, refuses to take delivery of goods, refuses to allow CVHS LLC to provide services at the time and date agreed, defaults in paying the price or any part of it. In the event of a suspension CVHS LLC can demand to receive payment in advance of any part of the price as a condition of recommencing the work. CVHS LLC will take every measure to make sure premises are left tidy after the delivery of work. However, we do not collect waste, packaging or other materials for disposal. The disposal of these items is left to the discretion of the Customer. CVHS LLC may terminate an agreement at its discretion at any time via notice in writing to the Client. Upon termination of this agreement the Client consents to pay CVHS LLC all outstanding charges including goods supplied and any cancellation charges payable to CVHS LLC’s suppliers and sub-contractors. CVHS LLC is committed to ensuring Clients are satisfied with their service/s received and we aim to deal with any Client concerns as efficiently and amicably as possible. If you have any concerns regarding the service you have received please contact us to discuss this. If the appropriate CVHS LLC representative is unavailable or unable to agree on a resolution, CVHS LLC will escalate the situation to an official written complaint, referring it over to the company administrator who will formally begin proceedings to deal with your grievance. CVHS LLC hereby guarantees that the labor portion of the work performed on its projects are to be free from defects in workmanship for a period of 1 year from the finish date, or date of notice of completion, whichever is the first to occur. • To the property only as long as it remains in the possession of the original owner. • To the work that has not been subject to accident, misuse or abuse. • To the work that has not been modified, altered, defaced, or had repairs made or attempted by others. • CVHS LLC must be immediately notified in writing within five (5) days of first knowledge of defect by owner or his agent. • That CVHS LLC shall be given first opportunity to make any repairs, replacements or corrections to the defective work within a reasonable period of time. • Under no circumstances shall CVHS LLC be liable by virtue of this warranty or otherwise for damage to any person or property whatsoever for any special, indirect, secondary or consequential damages of any nature however arising out of the use or inability to use because of the construction defect. CVHS LLC will repair free of charge defects in workmanship performed pursuant to the final invoice. Customer satisfaction is our highest priority. If for any reason you are not completely satisfied with the services we have provided, please contact us immediately. Our assistance and devotion to our customers continues after the work has been completed.